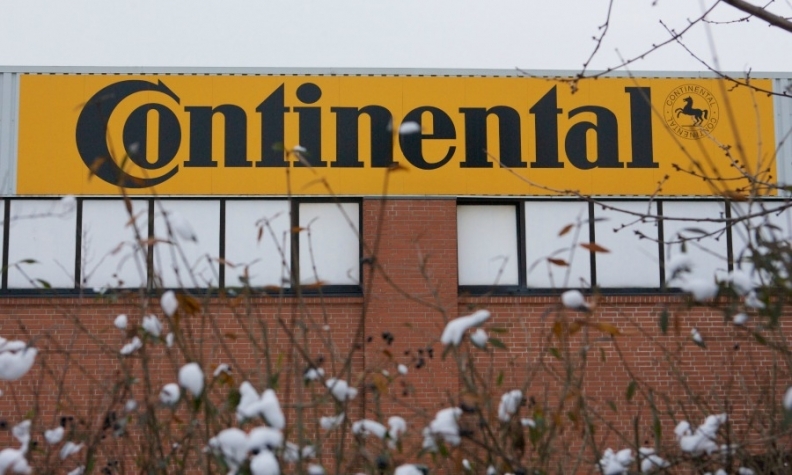 FRANKFURT (Bloomberg) -- Continental raised its profit forecast for 2014 after earnings jumped nearly 20 percent in the first-quarter. Earnings before interest and taxes, excluding acquisition-related gains and costs, climbed to 953 million euros ($1.32 billion), the company said today ahead of its annual shareholders meeting. According to the preliminary figures, revenues rose 4 percent to about 8.4 billion euros. Based on the first-quarter results, Continental now sees adjusted Ebit to be "comfortably" more than 10.5 percent of sales for the full year, up from a previous forecast for a 2014 margin of 10 percent. Continental is targeting a fifth consecutive year of record sales in 2014, expanding on deliveries of parking-assistance systems and braking electronics that bolstered revenue last year. The company has a goal to outpace broader auto-market growth by focusing on components that enhance driving safety, help reduce vehicle emissions and facilitate in-car communication links. "We are confident that we can maintain the current momentum, as the positive trend of the first three months appears to be continuing in the second quarter," CEO Elmar Degenhart said. Continental in January forecast that 2014 sales will increase about 5 percent to 35 billion euros, more than double a predicted 2.4 percent expansion in global car production. The company's final first-quarter results will be released on May 6. The supplier's shareholders will vote today on extending the term of former BMW Group executive Wolfgang Reitzle as supervisory board head for five years. The tenures of Maria-Elisabeth Schaeffler and her son Georg, who jointly own 46 percent of Continental's shares, are also up for renewal. Sabine Neuss, chief operating officer at Linde Material Handling GmbH, and Rolf Nonnenmacher, a self-employed accountant who is a former manager at KPMG International consulting company, are nominated as new supervisory board members. The shareholders will also decide on raising the dividend 11 percent to 2.50 euros per share. To reduce dependence on the automotive industry, Continental agreed in February to buy Veyance Technologies from the Carlyle Group for 1.4 billion euros to strengthen its ContiTech plastics and rubber division. Fitch Ratings said at the time that the deal won't affect the credit-reporting company's view of Continental's debt. The purchase of U.S.-based Veyance, a maker of hoses and conveyor belts, will increase the share of revenue that Continental generates outside the car industry to 32 percent from 28 percent. Continental plans further acquisitions to raise the non-automotive proportion of sales to 40 percent, the company said in March.